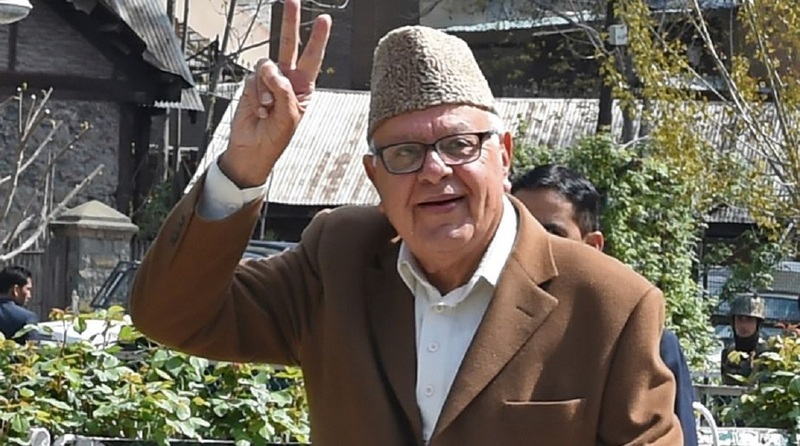 National Conference President Farooq Abdullah on Sunday said that there can be no lasting peace or sustainable development without respect for human rights and the rule of law. In his message on the World Human Rights Day Farooq said that basic human rights of a man include the right to education, right to assembly, right to profess any religion, and above all right to live a dignified life. “We in National Conference took it upon ourselves to ensure the people of our state all these basic rights. The Naya Kashmir progressive ideology abounds in all the rights and our leadership has been striving hard to ensure people all the rights,” he said. Farooq said that our hopes for a more just, safe and peaceful world can only be achieved when there is universal respect for the inherent dignity and equal rights of all members of the human race. “It was National Conference that made a common peasant master of his land. The revolutionary steps like single line administration, up gradation of medical facilities and granting gender neutral voting rights to all have gone a long way in elevating the living standards of the people of our state,” he said. He said that the previous BJP-PDP government had an abhorrence for human rights and the bruises of people haven’t been embalmed. “We in National Conference will embalm and ensure all those who stand maimed and bruised are looked after. We owe a sense of commitment to people. We will work tirelessly for all the regions of the state. The need of the hour is granting regional and zonal autonomous councils for elevating the living standards of people in the remote and hilly areas of our state like Chenab region and Pirpanchal region,” he said. Farooq said that state’s four years were lost to political instability and conflict. “Nothing good was achieved in the past four years. The former regime has left youth disenchanted towards the democratic process. The state saw no infrastructure coming up, no up gradation of basic ground level infrastructure,” he said. Farooq said that time has come when people should vote to make a government that has a majority so that steps could be taken that can make a difference in people’s lives in a positive way.